IBM and Microsoft Alliance provides a solution that helps company maximize revenue with cost-effective, strategically deployed IT for sales and marketing operations, Customer Engagement solution provides an integrated, 360-degree view of your customers and empowers greater sales collaboration. Your sales teams can boost productivity, sell together, and reap greater value from customer relationships across the enterprise. Work for IBM and Microsoft Alliance? Learning about IBM and Microsoft Alliance? 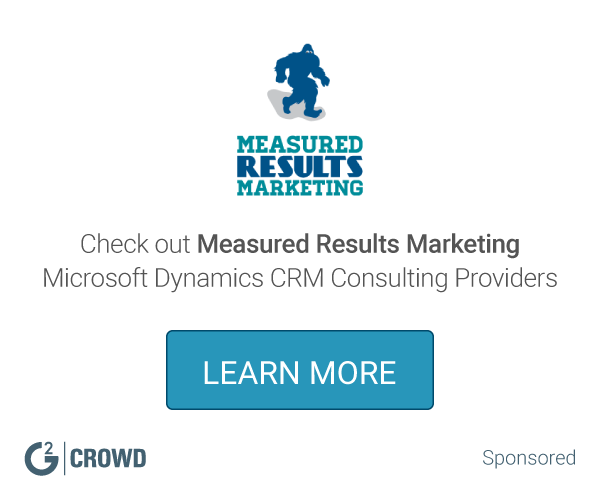 "The Microsoft-IBM alliance for cost-effective marketing and sales. " Our sales teams can boost productivity, sell together. Since IBM and Microsoft alliance is a very useful tool for sales and marketing I found nothing to dislike. What Microsoft Office 365 Consulting solution do you use? Avanade provides enterprise business technology solutions and managed services that connect insight, innovation and expertise in Microsoft technologies to help customers realize results. BrightStarr Implementation Services provied a solution that helps organization gain maximum ROI and competitive advantage through the expert implementation of enterprise technologies such as Sharepoint, Windows Azure, Office 365, Windows Phone anf Sitecore. Net360 Technologies is a service thet offer a complete portfolio of services that can help usermake technology more widely available, improve up-time,drive higher usage, off-load IT team, or all of the above. EPC Group is a Office 365, SharePoint and Microsoft Power BI Consulting technology platform related management and consulting firm that help organizations collaborate at a rapid and unparalleled rate it leverage deep expertise through tested and proven "from the consulting trenches" strategies that serve as the foundation for our solutions and services for thousands of organizations. SADA Systems is a service that provide expertise in enterprise consulting, cloud platform migration, custom application development, managed services, user adoption and change management. Paradyne is a platform that provides cloud consulting, migration, support, and productivity services for small, medium, and large businesses, as well as schools and the government sector, it specializes in the deployment and integration of Microsoft cloud products, including Office 365, Exchange Online, Skype for Business, SharePoint Online, Office Web Apps, Azure, Enterprise Mobility Suite, Windows 10, and more. Strategic SaaS is a cloud services partner that help companies transition their core infrastructure, messaging and unified communications to the cloud. Itransition Implementation Services is a solution that offer comprehensive software services that cover the full development and implementation cycle of IT project including a full range of consulting services. Binary Republik is a SharePoint Consulting and Development firm that focused on SharePoint Implementations, Office 365 roll outs and Azure Services. * We monitor all IBM and Microsoft Alliance reviews to prevent fraudulent reviews and keep review quality high. We do not post reviews by company employees or direct competitors. Validated reviews require the user to submit a screenshot of the product containing their user ID, in order to verify a user is an actual user of the product. Hi there! Are you looking to implement a solution like IBM and Microsoft Alliance?